Republican Governor Mary Fallin is defying a state Supreme Court order staying the executions of two men. 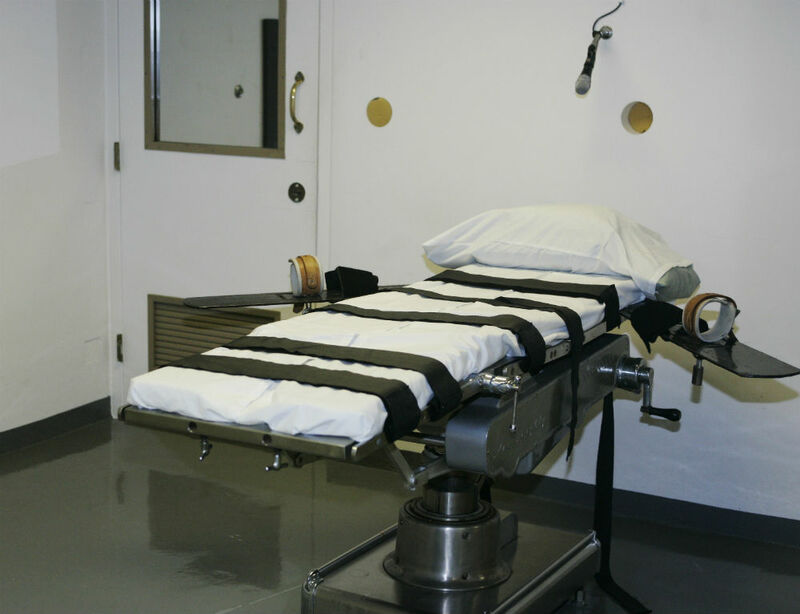 UPDATE (4/23/2014, 8:39 pm): The Associated Press reports that the Oklahoma Supreme Court has lifted a stay of execution for Clayton Lockett and Charles Warner, rejecting their claim that they are entitled to know the source of the lethal injection drugs being used to execute them before they’re put to death. Oklahoma is playing host to a constitutional showdown over the planned executions of two men, pitting the state’s Supreme Court against its Republican governor. Underlying the debate is whether convicted murderers Clayton Lockett and Charles Warner should be informed of what drugs will be used to kill them before their executions are carried out. Their attorneys argue that shielding the identities of lethal injection drug suppliers violates inmates’ due process rights and drugs procured from unregulated compounding pharmacies could subject them to cruel and unusual punishment. Last month, a district court agreed, declaring the state’s execution secrecy statute unconstitutional. Oklahoma’s Supreme Court issued indefinite stays of executions for Lockett and Warner on Monday, pending state appeals to the district court’s ruling. The next day, Oklahoma Governor Mary Fallin asserted that the high court had stepped outside its “constitutional authority” in weighing in on the death penalty case. She issued an executive order delaying Lockett’s execution by one week; it was originally planned for later that day. As it looks right now, Lockett, and presumably Warner, are both scheduled to die on April 29. Here’s where things get confusing: the state Supreme Court stayed the exections only after weeks of tussling with the Court of Criminal Appeals over which legal body had constitutional jurisdiction over the case. In Oklahoma’s unique judicial system, the state Supreme Court handles civil cases. The Court of Criminal Appeals, which has refused to address the two death row inmates’ stay requests, traditionally serves as the high court on criminal cases. Legal experts argue that Fallin does not have the constitutional or legal authority to invalidate, much less overturn, the Supreme Court. On those grounds, attorneys for Lockett and Warner filed a motion today to quash the governor’s orders. “The order is a flagrant arrogation of this Court’s authority to say what the law is, and a patent violation of the constitutional separation of powers,” their motion reads. Eric M. Freedman, a constitutional law professor and death penalty expert at Hofstra University, said the ongoing judicial battle distracts from the underlying issue: the question of constitutionality over Oklahoma’s secrecy statute, one of several laws in the country granting anonymoity to lethal injection drug providers.